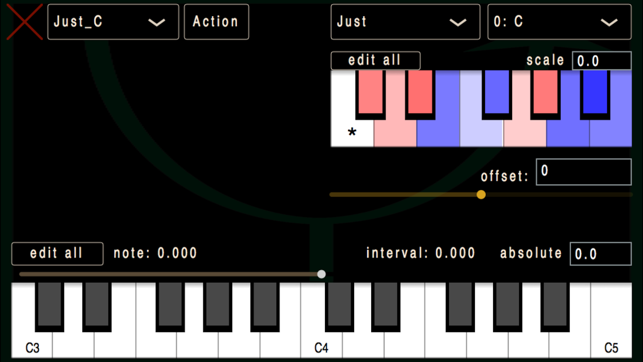 bitKlavier is the software that drives the "prepared digital piano;" it has been used by a number of composers for creating new music, and has been featured in performances around the world. Like the prepared piano, the "prepared digital piano" feels just like a piano under the hands and often sounds like one, but it is full of surprises; instead of bolts and screws stuck between the piano strings, virtual machines of various sorts adorn the virtual strings of the digital piano, transforming it into an instrument that pushes back, sometimes like a metronome, other times like a recording played backwards. 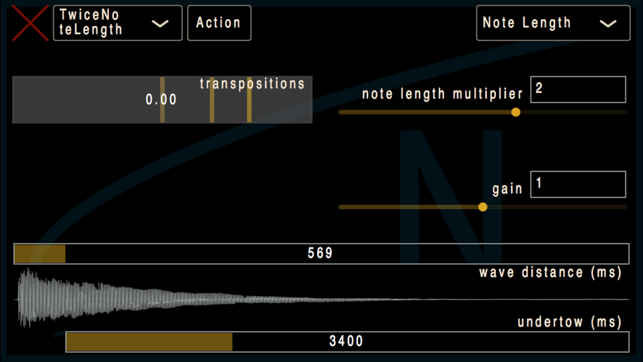 The virtual strings also tighten and loosen on the fly, dynamically tuning in response to what is played. To begin, experiment with the included galleries, many of which are from existing pieces (the Nostalgic Synchronic Etudes by Dan Trueman, and the Mikroetudes, a collection of small pieces by various composers), others are examples for exploring the various types of digital preparations. Work with the on-screen keyboards, or hook up a USB-MIDI keyboard using a Lighting-USB adaptor and play with a full-sized keyboard. 1. 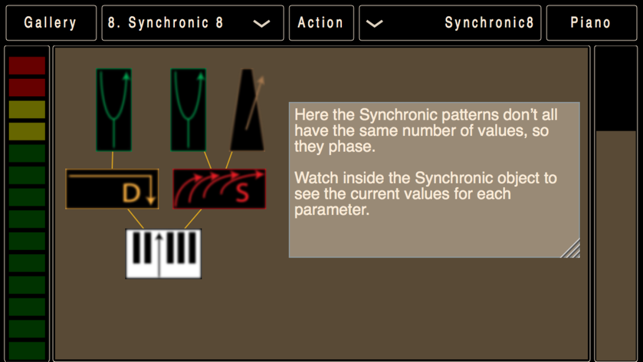 Synchronic: "metronomes" of various sorts that respond to your playing. 2. 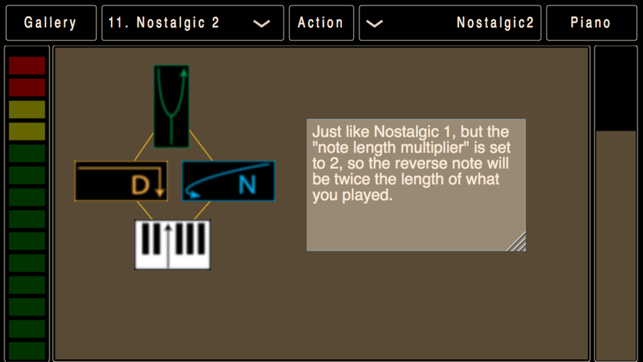 Nostalgic: reverse piano, synced to the synchronic preparations or driven by the length of the notes that you play. 3. Tuning: various tuning systems, including some that change under your hands as you play. 4. 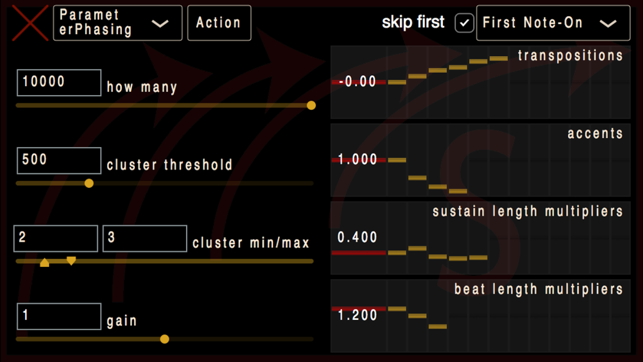 Direct: modify the direct sound of the piano itself in various ways. These preparations can change under your hands in various ways, using Modifications attached to Preparations and triggered by Keymaps, or by using Pianos, which change the entire instrument instantaneously. Created by Dan Trueman and Mike Mulshine at Princeton University, with support from Princeton's Music Department, Center for the Digital Humanities and Council on Science and Technology, as well as the American Council of Learned Societies. Sorry to hear about these issues, and for taking so long to respond. We've been redeveloping bitKlavier from scratch, and it's now totally rewritten and more efficient. We can't guarantee that it will work on older devices, but going forward we imagine this version will work much better everyone!